I recently treated myself to a relaxing massage. I’ve had plenty of massages before, but this one took me down a path that I did not expect. There I am, lying face down on the massage table. The candles are lit, gentle music is playing and everything seems just as it should be, until the masseur entered the room. Suddenly, and inexplicably, I felt strangely on edge. The masseur (we’ll call her Carol) somehow seemed "off". I decided to put it out of my mind and I did my best to relax and just enjoy the massage. "I’m so stressed. I wish I could meditate". "I can’t sleep at night. I wake up five or six times. It takes me ages to get to sleep. I just can’t stop my mind from planning everything that I have to do". I admit that at first I was a little uncomfortable about this situation. Carol was a massage therapist and her job is to help people relax and heal. I suddenly found myself in the position of being the unexpected confidant of someone who was anything but relaxed – the last thing I expected from my massage session. But I quickly realized that Carol needed help, so I asked her the most straightforward question I could think of, "Have you ever tried meditation"? Carol replied with the most common response known to man, "Oh I just don't have time", and she explained in great detail just how busy she was. There was no denying that her life was packed full, and that for her, finding the time to meditate was going to be a big challenge. Carol needed a technique that she could use without taking up any more of her day. "Have you heard of mindfulness meditation?" I asked. "Mindfulness meditation is something you can do almost anywhere, anytime. It’s all about bringing your attention right here into the present moment so that you can free yourself from getting lost in the barrage of thoughts that are flying through your mind." Carol didn’t say much, so I went on. "Just listen to that music for a few seconds. Really listen to it." "Were you thinking while you were listening?" I asked. "Not really", she replied. "I was listening pretty intensely so there wasn’t much room for anything else. But I don’t think I could keep that up for very long". I was starting to get on a roll here, and I could tell by Carol’s tone of voice that she was paying close attention to what I was saying. "If you can do it for 10 seconds then you can learn to do it for 30 seconds, then a minute, then ten minutes. It will just take some practice." Carol responded quickly, "But I don’t have time to practice!" For a brief moment I felt stuck. We were back to the "I don’t have time" argument. How was I going to get Carol past this? Then it struck me. A solution so simple and obvious that I couldn’t believe that I didn’t come up with it earlier. I was so excited about this idea that I spoke quite forcefully. "Carol, you are going to meditate on your hands while you do massage." "What do you mean exactly?" She asked. "I mean that while you do massage you will focus all your attention on the sensations in your hands. Feel them move. Feel your muscles stretching. Pay absolute attention to what you are touching and how that feels. Just like you did with the music, bring your attention into this present moment by concentrating on something “here and now”. And every time you catch your mind wandering off you will just bring your attention back to your hands." Carol was quiet for a moment. "Do you really think that’s going to work?" She asked. "Absolutely. It makes so much sense. You do massage for a living, so you already spend loads of time in a quiet, candle-lit room, and I’ll bet that half of your clients don’t speak to you at all." "Yep – half of them just fall asleep", she said. "So you have the perfect opportunity to practice mindfulness meditation every day without it taking a single second away from your busy schedule. You should be able to become an accomplished meditator quite quickly, considering how much time you actually spend doing massage." Carol was not just out of excuses, by this time she was genuinely excited about the idea of mindfulness meditation. I had one final tip for her – something that would help put an end to her insomnia. "There’s one other thing you can do that will help you sleep at night. By meditating on your hands each day, you’re going to build up a subconscious connection between the feeling of your hands rubbing, and the feeling of having a clear, calm mind. So when you go to bed at night, just rub your fingers together gently. You’ll trigger that subconscious association and you’ll find yourself relaxing very quickly." My time with Carol reminded me of just how useful mindfulness meditation can be during everyday life. Most of us perform some simple task that can be transformed into a totally enriching, totally relaxing experience through mindfulness. Your morning walk to the train station – be mindful of your feet as they strike the pavement. Your afternoon coffee – be completely mindful of the taste, the texture of the liquid, the aroma. Folding your washing, preparing a meal, listening to music, watching traffic. There is stillness and peace to be found in every moment of your life. Mindfulness is the key. Christopher Lloyd Clarke is the founder of The Guided Meditation Site. 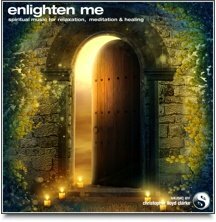 Please click here to explore Christopher's meditation music. dear sir, i simply can't express my gratitude in words. 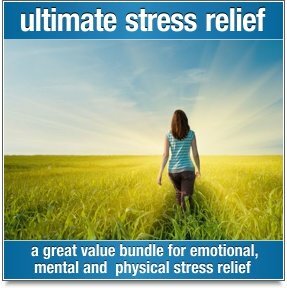 Your simple techniques work so effectively that in such a short period of time, our so many problems regarding meditation has been solved miraculously and we are definitely in a position to concentrate better on everything, be it office work,house hold work or meditation or anything, anywhere. As I am the disciple of Paramhansa Yogananda with 100 % of my dedication, so I can't bring your books and other literature but I must admit that your simple tips have helped me a lot in my sadhna. So, accept my lot of thanks for everything and pray for me that I may move along the path considerably as the time follows. A wonderful time for two people to share and grow from. You Christopher landed on the table of one who needed your expertise, while she was able to provide a healing session for you. Beautiful! I am a massage therapist from a natural healing program that 10 years ago defined me and the way I facilitate healing. On top of that I added esthetics, yoga and Doula training to my powerful healing tool-belt. Just after I signed up for your notifications, I took from them something I call mindful-massage. Where I retaught myself (with your help) how to stay with my session and not the laundry I need to do, the fb post I need to send out, the mass email that is a week late to my clients or any other thought that enters in while I'm working with my client. Since then, each person I work with I remind myself to listen with my hands and hear what their muscles need. Even during the lymph stimulation technique on the facials I find my meditation moment. There are so many moments to speak of that I have experienced another presence in the room that to share them with someone has been an honor! I love going to my spa/ work everyday so much and I have meditation to thank for much of it. Be here now, is what I remind myself each time my mind wonders away to my "laundry" during a session. Thank you Christopher for sharing your story with us and your knowledge with her. I pray that we all find a moment to mindfully meditate. Be it folding the wash, driving to a destination and most all when we know we need it! P.S. I'm glad you took something positive away from your massage and shared it. I'm sure she did also. This is a beautiful reminder the beauty of mindfulness is always in the present moment. Great advice - isn't it funny how one part of us "human beings" need to be reminded whilst the other part of us already KNOWS this --- and is already THERE in the "NOW" ! If we ignore this subtle part of us (which we do often) then it's great to have YOU to remind us! BE IN THE NOW; it's more powerful, blissful and super-special than words can describe. jen! Thanks for reminding me to be mindful. I often fall asleep meditating and so it was good to be reminded that meditation takes many forms. My work is a creativity developer and mindfulness is a very useful tool in this. This was what I really had in my mind!!! This article totally came in time as these thoughts were also surging even in my mind. It has been a year that I am meditating and everytime, even when I do not have time to meditate, I just go for a walk and while walking or even while sitting at my office, I just go on watching myself work. Just today morning, I had been reading a theory of a German Philosopher Edmund Husserl, titled 'Phenomenology' which too was all about raising the consciousness to reach to the state of transcendental self, and the only way for him to reach such state was by 'bracketing' those ego, jealosy, hatred and so on. I think it is going to be tough to bracket all those things if you are not meditating. Thank you Christopher, that you have written the article in such an issue that touches the heart of many. I was so struck by this article, that I've forwarded the link on to my colleagues. I've also written an article about your site for our newsletter, so hopefully we shall have some more people joining us soon. I was really fortunate to undertake a massage training which places self-care of the therapist, including meditation right at the centre. So I would always meditate on my hands, my body and my client's body whilst massaging. Maybe this is why massage energises me, rather than draining me. It's interesting that I was able to carry on massaging a couple of years ago, when I was otherwise quite ill and unable to do anything else. I'm also doing a Ph.D and my massage work complements this and somehow makes it tolerable. I really feel for therapists like Carol, who have evidently not had the benefit from such holistic, person-centred massage training. I'm sure you will be glad to hear that meditation constitutes a significant part of the curriculum for some of the best massage trainings. Thanks Christopher for sharing this lovely experience with us. Every morning during meditation I remind myself that I can tap into the peace and bliss of meditation at any stage during the day. 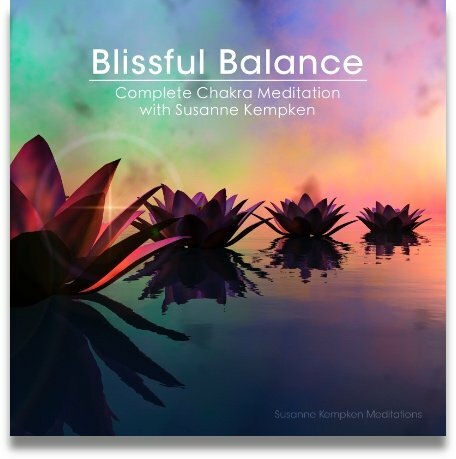 Mindfulness Meditation sounds like a great way to regain the peacefulness and pleasure of meditation during any time of the day. I am still very new at the meditation experience, but thus far it has changed my attitude and perspective in all aspect of my daily life. Thanks again for sharing this experience. Great Idea, Christopher! Use the grist of daily life as an opportunity to meditate. And thanks also for the the nudge within your story about not having enough time for spirital practices... I use the excuse more frequently than I care to admit--yet its funny how I always have time for a meal, or my favorite TV show. Blessings to you in your work! Thanks for this excellent article. I too am often very stressed, and I try to make use of the short walk to the shops to calm my mind. But not often enough! Your article is very uplifting, and I'm inspired to make it a much more regular part of my day. (Not trips to the shops - I mean mindfulness!). Thank you. Your article re the above reminds me of the short poem on mindfulness that I wrote last month. in all its wonder - all its beauty and grandeur.